Are you ready for the Wolfpack? 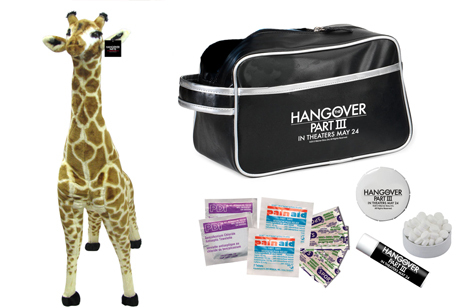 Celebrate the epic finale of the Hangover trilogy this Memorial Day weekend. Bradley Cooper, Ed Helms and Zach Galifianakis return to Las Vegas for one last ride. The boys must face one final challenge—to figure out what really happened in Vegas six years ago and fix it. 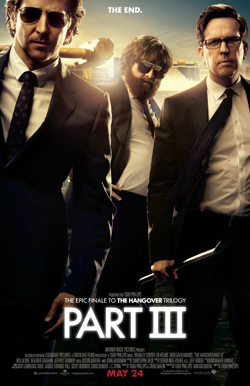 All you need to do is comment below and tell us which of The Hangover Part III's stars is your favorite, and why. Must be 18 or older and U.S. resident. Winner will be selected at random May 27 and have three days to respond after being contacted before a new winner is chosen. Please use a valid e-mail address when commenting (it won't be published) or we cannot reach you. Then, go like us on Facebook and follow us on Twitter! Check out the official site, Facebook and follow @wbpictures.